Today’s oral surgery techniques are designed to address an array of simple and complex oral health issues with minimal discomfort and faster healing. 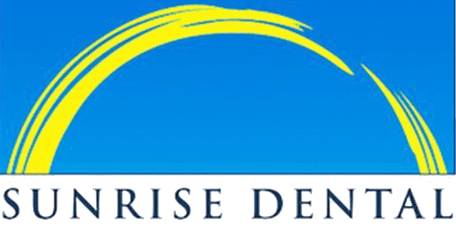 Sunrise Dental of Renton is a top-ranked provider of oral surgery services in Renton, WA, using state-of-the-art techniques and advanced pain management solutions for optimal results in every patient. What Kinds of Issues Require Oral Surgery? Oral surgery generally is reserved for more complex dental issues, like an impacted tooth, a tooth that’s broken off below the gum line, infected tooth roots, dental implant placement or bone graft procedures. Dentists who perform oral surgery are skilled in an array of techniques designed to treat existing issues and to prevent them from becoming worse. Surgeries are performed using sedation so patients remain relaxed and comfortable. Wisdom tooth extractions use different techniques depending on the position of the tooth. Sometimes, wisdom teeth become impacted or “stuck” under neighboring teeth and require more extensive surgery including removal of a small amount of bone to remove the entire tooth and its root. Other times, the extraction is more straightforward, and the tooth can be elevated from its position, with incisions made into the gum tissue to make access easier. In any wisdom tooth extraction, sedation is used to enable the patient to doze throughout the entire procedure. Once the extraction is complete, special care instructions will be provided along with pain medication to relieve discomfort during the initial stages of healing. In most cases, multiple wisdom teeth can be extracted during a single office visit. Bone grafting is most often performed when the jaw bone has become thin and worn away as a result of tooth loss or infection. The grafting procedure uses a tiny sample of bone tissue taken from the patient’s mouth or from a tissue bank and implants it into the jaw against the existing bone. Over a few weeks, the graft will fuse with the existing bone. Bone grafts are often performed prior to dental implant placement to ensure the jaw is strong enough to support the implant. Gum flap surgery is performed to enable the dentist to reach the lower portions of the tooth to treat infections around the root. During the procedure, an incision is used to create a flap in the gum tissue which is folded back to expose the lower portion of the tooth, then sutured back in place once the procedure is complete.